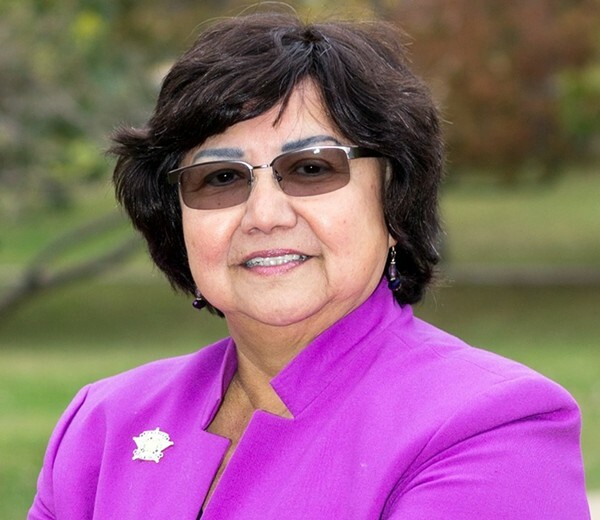 Sheriff Lupe Valdez has filed to run for Texas Governor in the Dem Primary. It was expected and hoped for by many who have thought of the current choices as a complete flatline–including me. Thanks, Lupe! 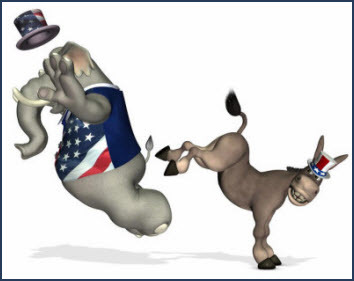 Like any major candidate, one attempts to connect with voters with a good narrative. And Lupe Valdez has a story. Valdez was born in San Antonio in 1947, one of eight children in a family of migrant farm workers. She earned a bachelor’s degree in business administration from Southern Nazarene University — a liberal arts college in Bethany, Oklahoma — before receiving a master’s in criminology and criminal justice from the University of Texas at Arlington. The story continues with her service in the US Army as a captain, her work as a federal agent with CPB and as an investigator and her trek toward becoming sheriff of the state’s second largest county. If anything, she was among the first Democrats to inject some hope into Dems about Texas one day becoming blue, having been elected Sheriff in that first blue Dallas wave in 2004. As Sheriff, Valdez hasn’t backed away from Greg Abbott’s politicization of the immigration issue, particularly the use of 287(g). Valdez at one point decided that low-grade undocumented offenders wouldn’t be reported to ICE, earning her the ire of Greg Abbott and a threat that cities and counties who didn’t cooperate would have their funds cut. Her mention of deportations and family separations in her post-filing speech shows she’s the only candidate ready to take on Abbott. As excited as I am about her candidacy, I was also a bit irked when I read a “fact-check” article about Lupe in which it seemed her farm worker kid life was being questioned. The fact-checking PolitiFact Texas project based at the Austin American-Statesman hasn’t independently verified that biographical detail. What’s Selby looking for? Kennedy-esque 8mm video of the family arriving at some midwestern state? Of them going up and down the plowed fields picking sugar beets? Smiling for the camera? Of old pay stubs, which included the deductions for overpriced rent and groceries billed by the farmers, thus taking most of the summer’s paycheck? South Texas Chicano families of 10 picking sugar beets in Cassleton, North Dakota, cherries in Sturgeon Bay, WI and tomatoes and strawberries in California and Bluffton, Indiana were the norm in the 50’s. That included the Medellins and the Sernas. I take it a bit personally, having been the son of farm workers. I even had the privilege of hanging out in a sugar beet field one summer that our family needed to go earn some money. It wasn’t that successful a summer–long story. And I’m sure there are plenty of these long stories that are hard to document, but that many of us wear as badges of honor and with which we can identify. If Selby and others want to know about Chicano farm worker life, then I suggest he watch “…And the Earth Did Not Swallow Him.” The movie based on the autobiography of Crystal City’s Tomas Rivera. That said, I’m ready to support Lupe Valdez and I look forward to what develops. UPDATE: Lupe Valdez has provided the fact-checkers with photos of her migrant days. Instead of black/white photos, my response to them would have been a lot more…colorful. …to chip in to her campaign. 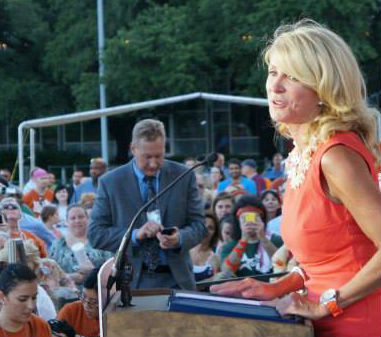 Wendy Davis answered the call–she is running to be our next Governor of Texas. And now, she needs you to answer the call to chip in. Much like every vote will matter, so will every dollar. And every dollar doesn’t only help Wendy Davis in her run, but the energy she creates will be passed down to the rest of the Democratic ballot. Let’s give what you can, and let’s do it often. You’d be surprised how it adds up–pretty much like the votes will add up for Wendy next November. Click on the link below to show your support.